While regional centers are governed by the Lanterman Act and Title 17, each regional center operates independently, so there are many differences in the administration of services provided from one regional center to another. The ability of regional centers to provide for services for children, adults and their families has been affected by limitations in public funding. The law provides those with development disabilities the means of integrating into community life and experience everyday living available to people without disabilities. The Lanterman Act supports individuals of any age or degree of disability. A disability that is the result of mental retardation, cerebral palsy, epilepsy, autism and other conditions that are similar to mental retardation and require services that are similar to those required by individuals with mental retardation. Originates prior to age 18. Is not solely physical in nature. The Individuals with Disabilities Education Act (IDEA) requires that School Districts and Regional Centers provide services for people with developmental disabilities which includes autism. For qualified children who are under three years old, the regional centers have the responsibility for providing needed supports and services. If your child is under the age of 3, then, as mandated under IDEA services provided through the “Early Start” program are required from the regional center. Regional centers are required to provide services to infants and toddlers in the five areas that are listed in the previous section of this article. Once a child is 3-years-old, school districts assume primary responsibility for providing services and education support for disabled children until their schooling is complete. The regional center shares responsibility with the school district for the child’s well-being. IDEA mandates that school districts are required to provide Free Appropriate Public Education, which is specialized instruction without charge. A child is only removed from the regular education environment if the severity of his or her disability prevents satisfactory results. After high school or at age 22, there is no entity mandated to provide educational services. Regional centers are the agencies with primary responsibility to assess and address the ongoing support needs of the qualified individual, throughout the lifetime of the individual. When a regional center determines that your child is eligible for services and he or she requires intervention to enhance development in the cognitive, communication, social, and/or adaptive skills areas, or intervention to decrease or eliminate challenging behaviors, they most likely will refer you to a private agency that provides services based on Applied Behavior Analysis (ABA) principles. ABA is the only scientifically-proven treatment for increasing desired behaviors and reducing challenging behaviors in individuals with developmental disabilities. 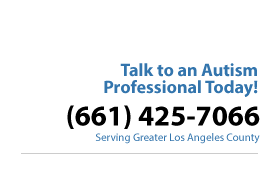 Vista Center for Behavior Analysis has been providing ABA services to individuals with autism and other developmental disabilities since January, 2001. Vista’s ABA programs are designed to help children, adolescents and adults develop the skills that are necessary for the individual to be able to lead the most independent, fulfilling and productive life of which he or she is capable. Vista provides intensive ABA services to children as young as two and one-half years of age. We offer intensive ABA services to children, to help them develop them overcome their skills deficits as quickly as possible. For teens and adult Vista offers not only our behavior intervention program but we also have developed an Adaptive Skills Program (ASP). In the ASP we utilize ABA principles to assess and address the needs of individuals who require support for the development of essential life skills, including hygiene, grooming, socialization, community integration, independent living, and vocational training, among other skills. Vista will collaborate with you and the regional center to ensure that an individualized program is created to enhance the abilities and skills of your child. To obtain our services in your area, please call us at (661) 425-7066.